Grab your sword and wear your armour and face the dragons! On this 5 reels, 25 paylines slot game, you can win some of the lost treasures. 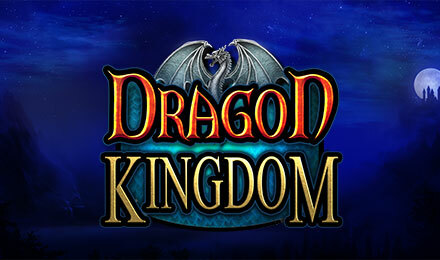 The fierce dragons are waiting for you with potential winnings on Dragon Kingdom slots. On this game from Pragmatic Play, you will find 5 reels and 25 paylines. Be prepared to enter the unknown land where winnings are hidden. Choose your stake and try to grab any of the top features. Let the queen be your ally while you fight the dragons. She will help you by throwing scatters, free spins, stacked symbols and multipliers. You will find two set of symbols on this game; the card values and the magic themed ones. Let the dragon roar while you hit the reels of this game!